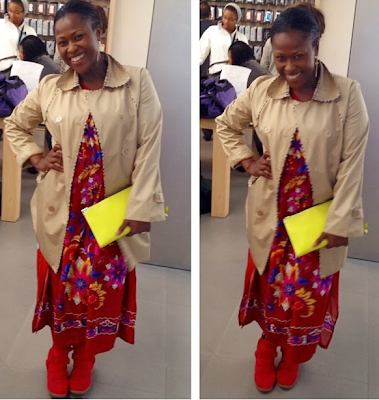 Oh Hello Uche Jombo in NewYork! ;Someone is settling in already.. The Actress is presently in Newyork for a bit,well she relocated temporarily to stay with the Hubby for sometime..
She was spotted out shopping rocking this outfit.she seems to be settling down already..But Ermmmm Uche dis outfit get as he be ohhh.. abi?? wetin we go call this one now? ?